Kasey Wilner is carrying on a family tradition of involvement in Charley’s Fund. The entire family – grandparents included – are annual fixtures at the Race Against Time in Central Park, an event that owes its ever-growing success to Kasey’s mom Ellen. For Kasey’s bat mitzvah she got involved with the UJA Federation’s “Give a Mitzvah – Do a Mitzvah” program. Kids in the program participate in a community service project and make a donation to a charity of their choice. 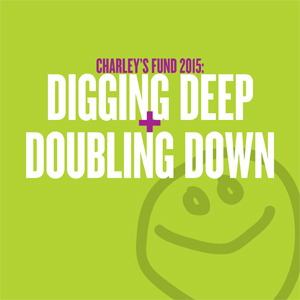 Kasey worked with young children at the 92nd Street Y and made a generous donation to Charley’s Fund. Always on the lookout for ways to raise awareness, Kasey made sure every guest at her bat mitzvah got a customized water bottle with a very important note (see photo!) Thank you Kasey for joining up with your parents, sister and grandparents to help us end Duchenne! !